After interviewing thirteen WordPress developers for a book on getting up and running with WordPress development, I have some key takeaways that I’d like to share with you. Editor’s note: this is a guest post by Fred Meyer of WP Shout. WP Shout is a really solid WordPress tutorial blog by Fred and David Hayes. Up and Running is an excellent guide for leveling up your WordPress development skills, and this post walks through some of the takeaways they had during the process of creating the guide. What does well-written WordPress code mean to you? What tools do you find most useful in your work in WordPress? 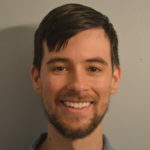 What advice do you have for people learning WordPress development? Our interviewees gave some very concrete advice—and some more general principles to follow—for writing clear WordPress code. The foundation of writing clear code is that you understand exactly what it does, how it works, all the side effects it might have, and why you decided to architect it that way. Pippin recommends that you “break your code up into as small chunks as possible”; in particular, “a function should do one thing, and one thing only.” Curtis has a related rule of thumb: “If a function is longer than 6 to 10 lines it’s probably doing too many things inside it”—since a single responsibility usually doesn’t take more than that to execute. Many also used Grunt as a task runner, and iTerm 2 (Macs only) for the command line. Several interviewees also recommended Sass, the CSS preprocessor, for front-end development. For programming practices, most code we looked at was object-oriented, and auto-generated docblocks for documentation (often through PHPStorm) came up several times. For programming, the consensus was that code should have the properties described in “It’s About Clarity.” Very little else—such as the choice between OOP and procedural code—actually matters. The most unanimous piece of technical advice was simply, “Follow the WordPress coding standards”: a practice for clarity and readability, rather than a specific prescription for how to reason about code. As Helen said, “There’s a lot of value in just trying new things: being really curious about, ‘What will happen if I do X thing? '” Helen also mentioned reading the WordPress code responsible for function calls like update_post_meta()—and how doing so has helped her avoid redundant is_revision() checks that she commonly sees in copy-pasted code. Sean Davis mentioned finding a typo in the style.css file of the Underscores (_s) starter theme, and deciding to submit a pull request for a fix: “Once my pull request was submitted and merged, that’s when I started looking at everybody’s public repos: ‘Now I’m curious. What else can I do? '” Fixing a number of other GitHub projects gave Sean the understanding, “I can talk to these people. I have value as a WordPress developer,” and eventully led to his being an early hire at Easy Digital Downloads. I was surprised, throughout our interviews, by how important the social aspect of WordPress development was for every interviewee. They overwhelmingly saw code itself as a social activity: the most-mentioned metric of good code was how well others could read, understand, and extend it. This section discusses what I think we can learn from these developers’ example. More than any other trait, confidence was what allowed our interviewees to continue learning and growing in WordPress. Based on their suggestions, here are a few main ideas for developing confidence in yourself as a WordPress developer. In a technical setting, knowledge is the main social currency—and so one of the scariest things is to expose your own ignorance. The seeming need to know everything can quickly drive you into “impostor syndrome”: the sense that you secretly don’t belong in a given room, job, or conversation. The cure for this is open communication: having people whom you can ask real questions without needing to keep your guard up. How can you develop those relationshps? By offering value. For example, if you’re trying to contribute to someone’s GitHub project, and you hit a function you don’t understand, the author will almost certainly be happy to walk you through it—after all, you’re trying to help. This is a big contrast to writing the author out of the blue when you get stuck on a client project. In this second case, you may never get a response: you’re just asking for free knowledge, for your own paid ends. Getting stuck like this with no help is a great way to deepen one’s sense of being a solitary impostor. So work to deliver a lot of value up-front, in order to develop technical friendships marked by (to again use Curtis’s phrase) “an easy exchange of information.” This will be a great source of confidence—you can simply let your guard down and learn—and will do a lot to remove impostor syndrome and self-criticism as impediments to your learning. Sean discussed the importance of having “your own identity” in WordPress, and not being bullied into learning trendy programming practices when it may not be the right time for you to learn them. Similarly, Helen finds that “feeling better about what you’re doing through elitism” by creating “boundaries and hurdles to becoming an expert” is “anti- what the web has been about for so long: about opening doors to people.” So if you suffer from impostor syndrome, question how much of that lack of confidence is actually a healthy understanding of your own current boundaries—and how much is taking on the weight of other people’s bad habits. First, because this is me and not Brian, I feel no embarrassment in saying: get a Post Status membership! It will quite possibly be literally the best $99 you’ve ever spent. In code, always know what you’re doing and why. The main judge of code is not what programming paradigm it adheres to, or any other type of coding credential, but simply how clearly reasoned it is. You must also thoughtful about the social side of code: how easy the code is to understand and extend for future readers (including your future self). Curiosity and confidence are the two main traits that let someone grow as a WordPress developer. The best way to learn development is by doing it. Being “paid to learn” as you work to satisfy clients is an outstanding practice, as is working to contribute to other developers’ projects. Thanks for reading! To watch the interviews and code walkthroughs themselves—and to learn the key principles of WordPress development through our e-book and tutorial videos—check out Up and Running. Use coupon code krogsgardsarmy for 15% off any package! 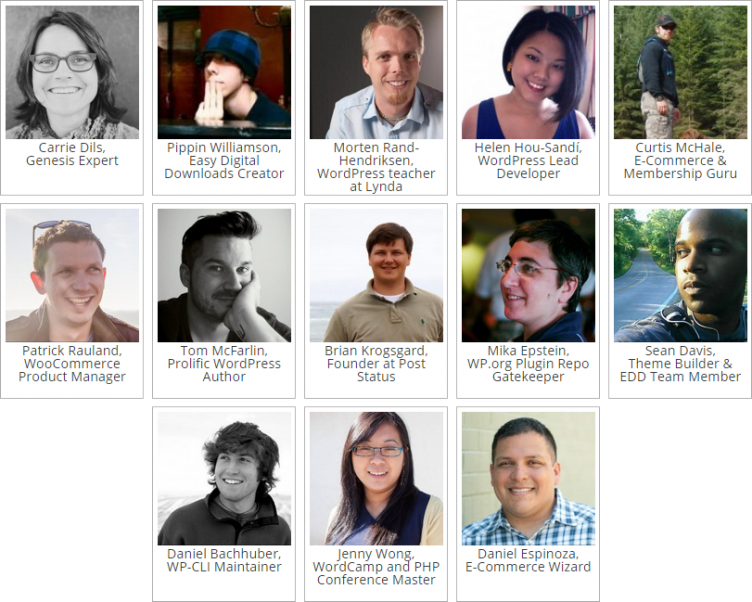 What’s your WordPress job title? This is great. Good luck with your package. Every now and then I get asked by a theme customer how to get into WordPress development. It will be nice to tell them about what you’re offering. Lots of good points here. I have identified myself with a couple of coding comcepts. I also agree it’s not the tools, it’s the technique. If I can code something really good, I don’t need any tools to tell me how I did or what should I improve. Hi folks just a great post full of great insights and information!